171 men and women will be recognised for their outstanding contributions to nation building through service in various fields today. The National Honours and Awards ceremony officially kicked off at 8:45 am today at King‘s House and will be broadcast live on Ustream. You can also follow the action via Twitter by the Jamaica Information Service. Below is the 2017 National Heroes Day Message from the Most Hon. Prime Minister Andrew Holness, ON, MP. A Great Heritage…..A Great Legacy’, that is our theme for National Heritage Week, which culminates today on National Heroes Day. It is a theme that all of us as Jamaicans need to internalise, appreciate and bring to the forefront of our daily existence. The preservation and continuity of our rich and deeply rooted history, heritage and culture spans generations and our indomitable spirit is a part of the fabric that makes us who we are as a nation. We have a great heritage to promote and a great legacy to protect. We cannot afford to treat it lightly, knowing we have had significant global influence on every field including music, culture, sports, medicine and of course our contribution to world history through our national heroes. 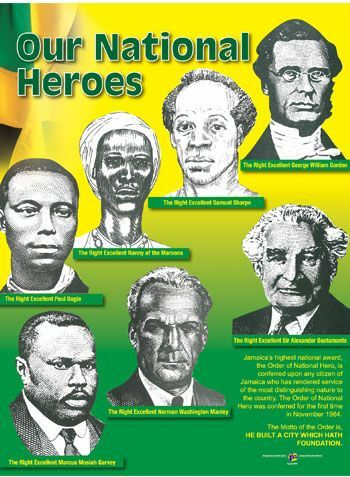 Jamaica and Jamaicans can boast of our giants who stood tall against centuries of oppression. We produced heroes that impacted not just our great island nation, but the world. Queen Nanny is known for her fiery bravery and dare-devil boldness. Daddy Sam Sharpe, lived up to his name fully prepared to die on yonder gallows than spend his life enslaved. George William Gordon took up the struggles of the black masses rather than continue to live the privileged life to which he had become accustomed. For that, he paid the ultimate price. Paul Bogle marched from Stony Gut St. Thomas to Spanish Town, to demand an audience with the colonial masters so he could plead the case of the oppressed farmers. Sir Alexander Bustamante, considered the father of our nation, dedicated his life to Jamaica, and was imprisoned in 1940 on charges of subversive activities. The widespread anti-colonial activism finally resulted in Parliament granting Jamaicans universal adult suffrage in 1944. We must make a concerted national effort to always promote our proud heritage among our people, particularly our youth. They need to know, embrace and treasure our Jamaican history and culture, and face the challenges of the future with confidence, optimism and hope. The spirit of our heroes is within each and every one of us. That spirit of sacrifice, that sense of responsibility and duty towards others; that inner belief we are connected to a calling higher than ourselves. We praise and salute those who at times risk their lives to save others in one way or another. Recently, the entire nation was riveted by the story of a young man who risked his own life by jumping into a gully to rescue a child who was being swept away by flood waters. Sheer tenacity and complete faith kept him holding on, both for himself and young boy until they were rescued. We remember too the heroism of Jermaine Riley and his brother Jamawno and their friend Ramone Peart who saved the lives of seven (7) people during the May 16 flood rains in Sunnyside Linstead St. Catherine. These modern day heroes reminded us it is in our nature to reach out to others, to sacrifice for others. 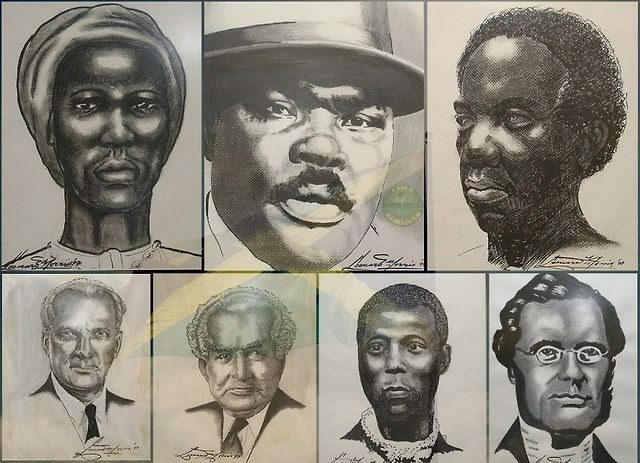 On this National Heroes Day we salute them, as we do our sportsmen and women, our musicians who through their work on the international scene shine a positive and bright light on Jamaica. Indeed, we also have everyday heroes in our military and police forces, our teachers, nurses and countless others who see sacrifice as a duty and honour in service to our great nation. Let us resolve to be each other’s keeper by giving a helping hand, a listening ear, a voice of reassurance to those in despair. Let us regain the determination to guide our young people who need to be steered in the right direction. Let us always remember to extend compassion to the elderly and the infirm. It must not be forgotten that they have contributed significantly to our nation and must never fall by the wayside. Our National Heroes have left us a great heritage and legacy to build on…..let us preserve it for generations to come.